David Freese is an American baseball player who plays the third baseman position for the Los Angeles Dodgers of the MLB. He was selected by the San Diego Padres in the ninth round of the 2006 Major League Baseball draft but has played with several other teams since then including St. Louis Cardinals, Los Angeles Angels of Anaheim, and Pittsburgh Pirates of the pro-league. 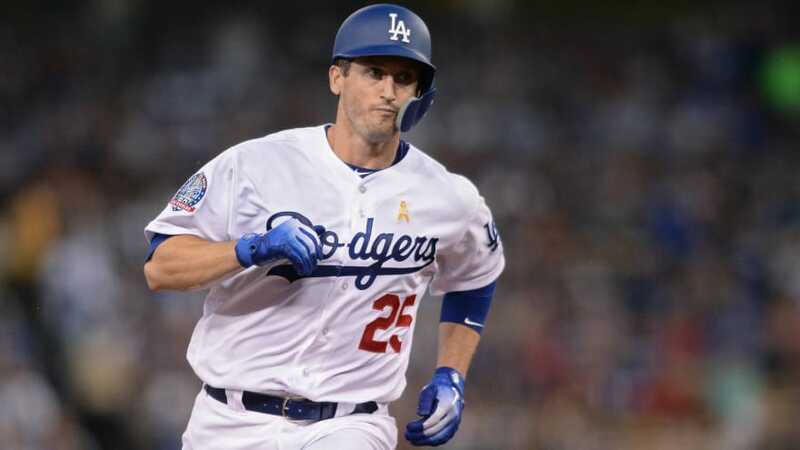 Born David Richard Freese on the 28th day of April 1983, the baseball player was raised in the Greater St. Louis area situated in Wildwood, Missouri. He developed a keen interest in baseball from a very young age and was a huge fan of the Cardinals. He went on to make his first touch in the game during his high school days at Lafayette High School located in Wildwood where he played baseball for the school team. During his high school career, David made a total of 23 home runs in his senior year while having a batting average of .533. The talented star was considered as the best shortstop in the state at the time. He got several scholarships offers from top Universities and colleges which he eventually turned down and enrolled at the University of Missouri where he studied computer science. During the summer of his first year, David picked up a job at the Rockwood School District maintenance department. While he was there, he watched high school baseball games which reminded him how much he has missed the game he loves so much. The player went on to ask for a spot on the St Louis Community College baseball team. There he was selected to the All-American team in 2004 by the National Junior College Athletic Association. Following his impressive performance, his coach Tony Dattoli recommended him to the University of South Alabama baseball coach Steve Kittrell who offered him a spot on his team. He had a record of 52 runs in 56 games during his junior year in 2005. The following year, David was given the Sun Belt Conference (SBC) batting title and was equally rated SBC player of the Year following his remarkable performances. In addition, he also got All-Conference team selection. During the MLB draft of 2006, David Freese was picked by the San Diego Padres as the 273rd player to be selected overall. After penning down his rookie contract, David played for the minor league teams including Eugene Emeralds, Fort Wayne Wizards, and Lake Elsinore Storm from 2006 to 2007 seasons. Subsequently, he was traded to the St. Louis Cardinals in exchange for Jim Edmonds. Afterward, he played the 2008 season with the Memphis Redbirds before joining the Cardinals in 2009 to be placed as the third baseman behind Joe Thurston and Brian Barden. He played a total of 17 games in his first season with the Cardinals due to an ankle injury he sustained during training. As a third baseman, David had his breakout season in 2011 while leading the Cardinals to win the World Series Championship. He emerged as the MVP of the tournament and was honored with the Babe Ruth Award. David also got the National League Championship Series MVP Award the same year. With his continuous improvement, the star player was selected to the MLB All-Star team in 2012 after recording 50 RBIs and 13 home runs that season. The next year, David got a one-year contract extension with the Cardinals. During the season, he got less playing time following a series of injuries he suffered in the season. The Cardinals also acquired Matt Carpenter to fill his position as the third baseman. At the end of the season, David was sent to the Los Angeles Angels of Anaheim on a trade for Fernando Salas. After spending two seasons with the Angels, David became a free agent in 2015 and signed up with the Pittsburgh Pirates on a one-year contract of $3 million. He was traded by the Pirates to the Los Angeles Dodgers in 2018 in exchange for the Jesus Manuel Valdez. The third baseman was born to American parents Guy Freese and his wife Lynn Freese. His father worked as a civil engineer while his mother served as a teacher. He was brought up in a Christian family along with his sister Pam Freese. There isn’t much information regarding his parents and sister. While he was growing up, the budding star was said to be an avid fan of the St Louis Cardinals and he also got an original Ozzie Smith glove at the time. David holds an American nationality and belongs to the German ethnic descent. Just like his career is going well, so is his personal life. David Freese is happily married to his long-term girlfriend Mairin O’Leary. The beautiful lady was born in Missouri in 1990 to American parents Patrick O’Leary and his wife Mary Kathleen O’Leary. Mairin is a Biological Sciences graduate of the University of Missouri and she is also an artist. After so many years of dating without any fiasco, David and Mairin became man and wife in September 2016. They have a son named Kia Freese who they welcomed in November 2017. In addition, they also have one other family member, a dog named Bobdog. The amazing couple has been living a blissful married life and there is no sign of marital issues. David loves to spend time with his wife and family whenever he is not on the field doing what he knows how to do best.